There are some seriously crazy crowds at Disneyland right now. It's summer and the 60th Anniversary celebration is in full swing, so that's kind of to be expected. The new nighttime entertainment is pretty spectacular. 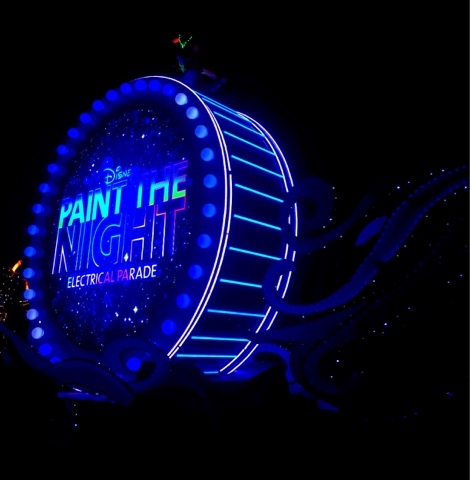 I got really worried before my trip because I kept hearing that people were staking out spots on Main Street hours in advance for the Paint the Night parade and Disneyland Forever fireworks. I've got two very small kids who don't get the concept of waiting 4 hours to get the best seats. They're also not going to be awake for the 11:00 parade (to be fair, the youngest probably wouldn't be awake for the 8:50 either, but I was thinking more of the 4 year old). Anyway, I had a terrible feeling I was going to miss seeing them! But the way we did it actually ended up working really well and I'm excited to share it with you! It was totally true...no seats for the 8:50 parade if you couldn't wait at least an hour. (Although I heard if you're by yourself or just two people and are VERY polite, you might be able to squeeze in). But the 11:00 is so easy! We got a great spot just 30 minutes ahead of time, and even managed to keep one of the kids awake for it (with the help of Buzz Lightyear's Astro Blasters and a big bucket of popcorn!). It's worth it! 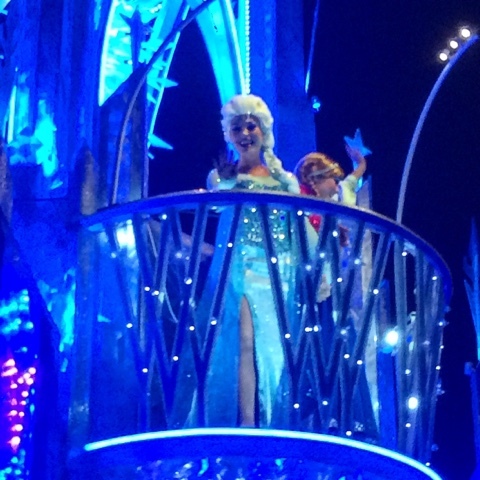 Stay up late if you have to and see this parade!!! We did it two ways and saw it from two spots. Both were awesome! Right around when the 8:50 parade was starting at Its A Small World, we hopped on the train at New Orleans Square and took it three stops up to Main Street Station. We pulled in just as the last two floats were going by. We waited until the Mickey float finished up and watched as everyone who was watching the parade stood up and flooded into the middle of Main Street to see the fireworks. All we had to do was walk up and we got to the town square, right near the flag pole. 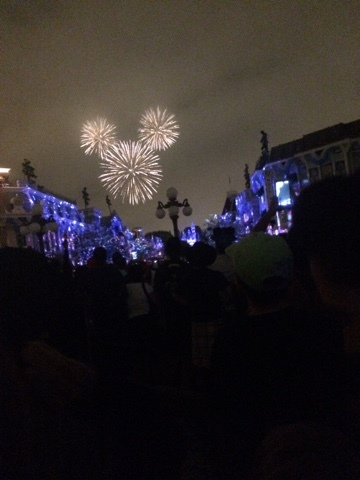 It was a good enough spot to be able to see all of the fireworks, Tinkerbell and Nemo going above the castle, and get an idea of the projections on Main Street. Check out the pic below. We actually didn't intend to see the parade or fireworks that night, but we were in Fantasyland before they started shutting down some rides for the fireworks. We got in line for the teacups just as the parade was coming by. It was an amazing view! Everyone in line was dancing and by the time we got off the ride, most of the parade had gone by. Then we headed up to Small World where the parade had just finished. NO ONE was lining up in the front row at Small World! When we saw the prime spots, we changed our plans and ran over! We got the first row in front of the Small World queue and, although we couldn't see Tink or Nemo, we had a PERFECT view of fireworks, projection show, and even Mt. Wannahockaloogee! Give it a try and see if these tips work for you!